I am a Melbourne portrait artist, painter, illustrator, storyteller and occasional mermaid. I work from my home in the green and leafy artistic suburb of Eltham. I find inspiration in good yarns and small things in the day-to-day, living by “Stories & Memories”. A mother to two young daughters, I exhibit with local art group, Thou Art Mum, an inspiring and supportive network of visual artists who are mothers. I love faces and bodies! My portraits and figurative studies are mostly in acrylic paint or graphite. The range of artwork includes paintings, illustrations, prints and fan art, as well as commissioned pieces. Recurring themes in my work are shadows, reflections, tattoos, floral blooms, water, disco, the female body, childhood, colour, and Moorish and Art Deco pattern. I also love what lies beneath the faces and bodies! My passion for reading stories about people began in childhood with a big bookshelf full of books. In my art I explore the human condition through empathy, love, emotion, nostalgia and memory. Time, popular culture, music and literature, cultural background, humour and wordplay are all important ingredients of my storytelling. An advocate for women, I am constantly drawn to the themes of strength and vulnerability in femininity, identifying with “I’m every woman” through my work in a balance between realism and fantasy. I am also a voice for the Australian breast and ovarian cancer charity, Pink Hope, which empowers women and their families to take control of their hereditary health through prevention, education and support. I like to connect with my enthusiasts and customers on social media! You can find me @pascalegarlingeart on Instagram, Facebook, Pinterest and LinkedIn if you would like to chit-chat about my art or personal story. 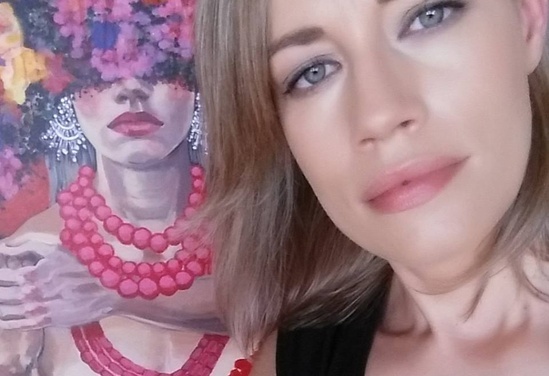 Melbourne Portrait Artist, Painter, Illustrator and Storyteller. Occasional mermaid. Pink Hoper. "Stories & Memories"